Whether you run a private, semi-private or daily fee golf facility, your customers depend on you to have freshly trimmed grass, greens that don’t run too fast and a challenging golf course for their quick 9 or 18 holes of comradery and fun. 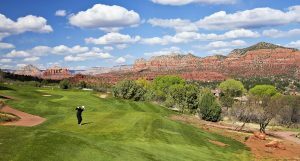 You should be focused on making the experience at your golf course or country club the best in the business, so let the insurance agents at Insurance Brokers of Arizona cater to your needs with an insurance policy for Golf Courses & Country Clubs in Arizona. We have insurance companies that tailor specifically to your needs, not policies that will leave you feeling like you’re stuck in a sand trap. Provides coverage for direct damage to golf course tees, greens, cut fairways, and other maintained playing surfaces. Club Professional Replacement Expense Coverage Provides coverage for specific expenses incurred to replace the club professional/lesson activities during a replacement search from a covered accident. Expands protection for trees, shrubs, and plants to include damage from wind or hail, vehicles, or vandalism. Expands debris removal coverage for trees, shrubs, and plants. Provides coverage for debris removal from wind or hail. Focus on maintaining your golf course and let the insurance agents at Insurance Brokers of Arizona find you the right, comprehensive insurance policy for your Golf Course or Country Club in Arizona. Our agents work with multiple insurance companies to find you the right insurance coverage at the right price. Call 480-812-1998 for your quote.